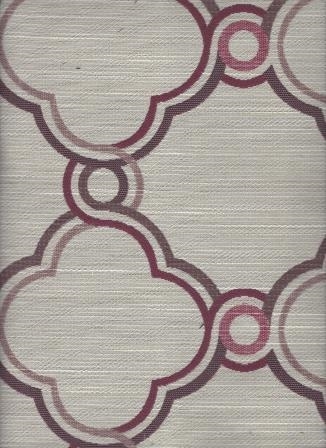 Sensational woven linked chain pattern on a natural background with accents in plum. Experience this ambiance this fabric will lend to your living space. Repeat: V 7.5" - H 7.5 "